Another difference is the way the potato curry is made. 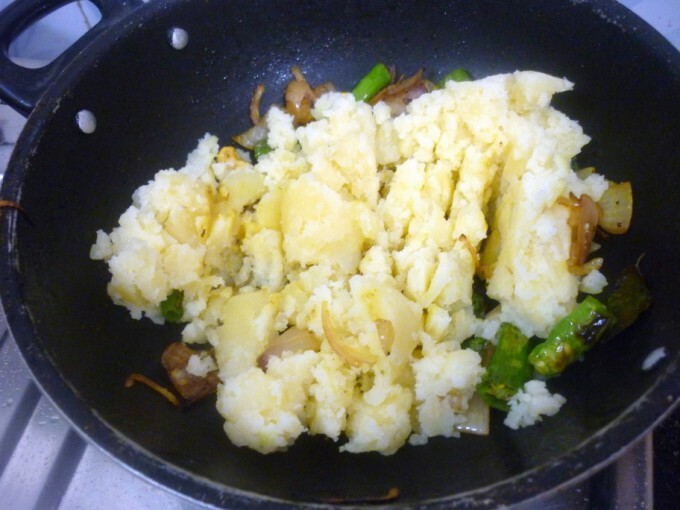 It’s not the regular spicy curry with green chilies, but rather a simple mix of boiled potatoes with onions over flame for couple of minutes. 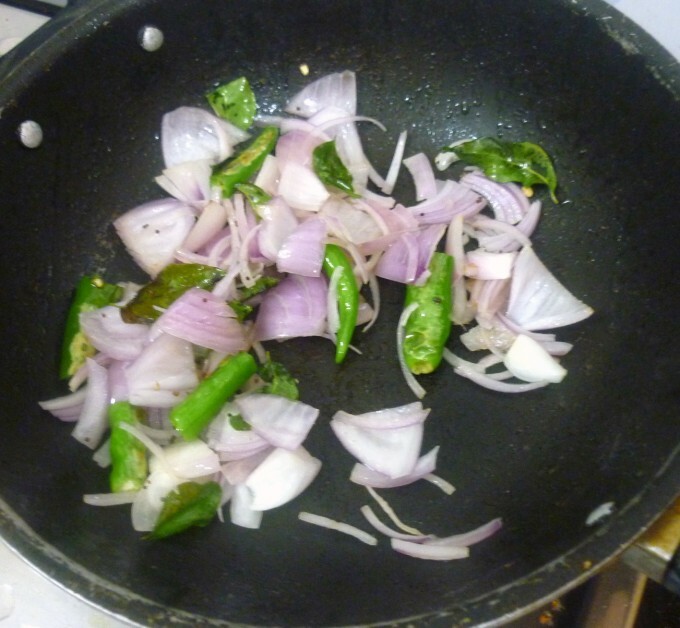 Whereas the coconut chutney on the other hand, is prepared spicy. The batter proportions also varied among the sources. Amma and I settled to a number after reading up my filed recipe. The batter once ground should be left to ferment and refrigerated if you want to use for couple of days. But best is to use the batter within two days when stored in fridge. One change I did to the original schema of things, was with the potato curry. I knew hubby dear will not eat the curry if it was bland. So made a small portion just for taste and rest in the regular method Potato Masala. I also didn’t add water so that the curry was very crumbly, which actually . However the coconut chutney is supposed to be very spicy, with some adding spices in it. The only common ingredient in all the recipes was the ginger, so went ahead with making the coconut chutney with ginger. Amma used to make this version occasionally as I normally don’t prefer ginger. 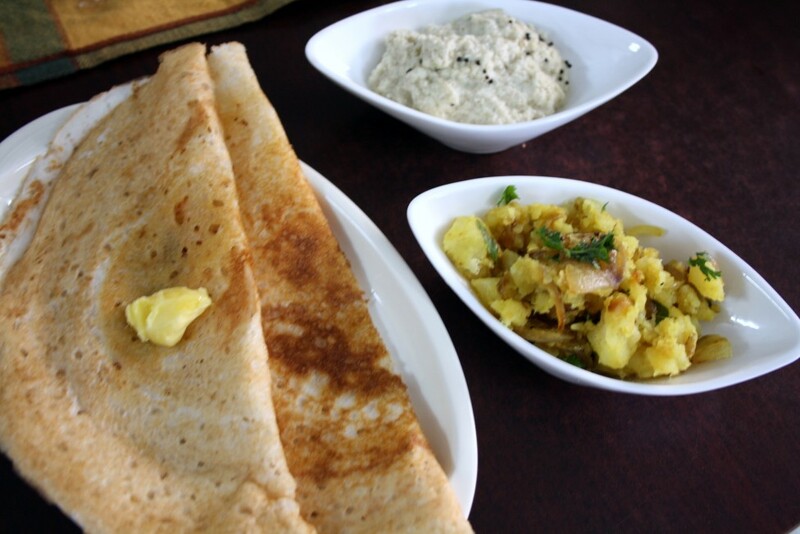 However I saw that the ginger had really given it a great flavour for this dosa. I love how great it looks, superb pics. !!! 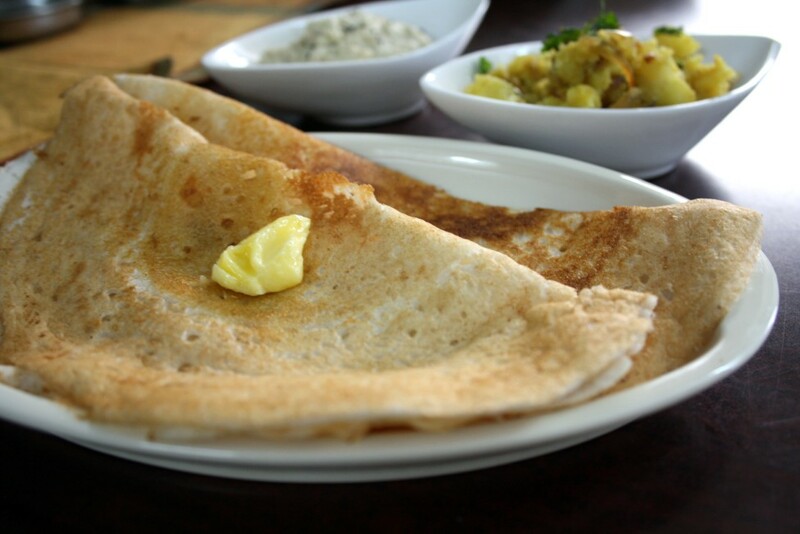 Lovely Dosas. I had once read about 200 varieties of Dosas in a magazine. I seem to have misplaced that booklet during relocation! 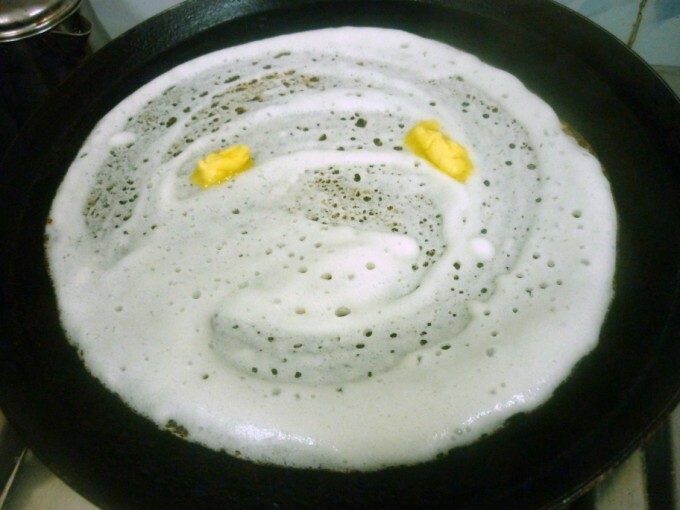 I remember having seen this dosa in there. How I miss that booklet. 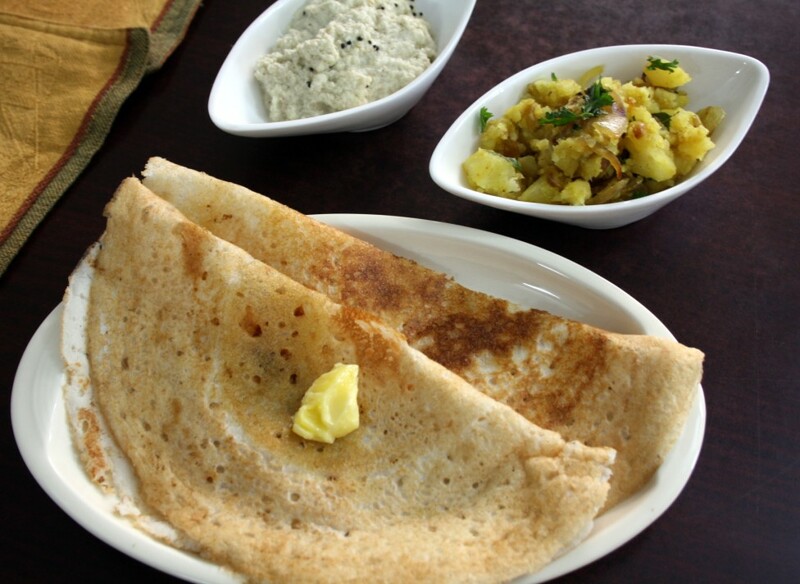 masala dosa is my fav..i can eat it all day…this dosa looks so nice.. This is the first time I'm hearing Dosa batter with red gram dal. 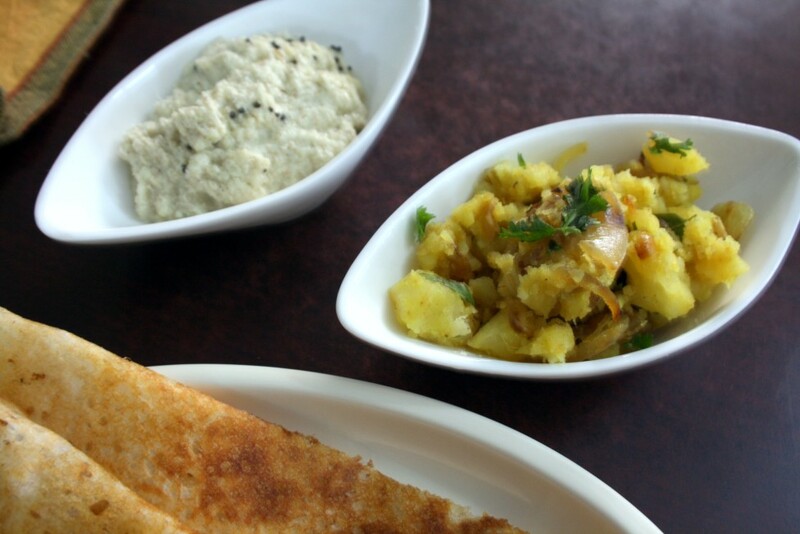 The name sounds very ethnic and its very drooling to watch the dosa with the potato curry. Wow.. simply awesome Valli… So good want some now!! Ohh you took me back to my bengaluru days Valli this one is my favorite looks great…. and wow very inviting pic. 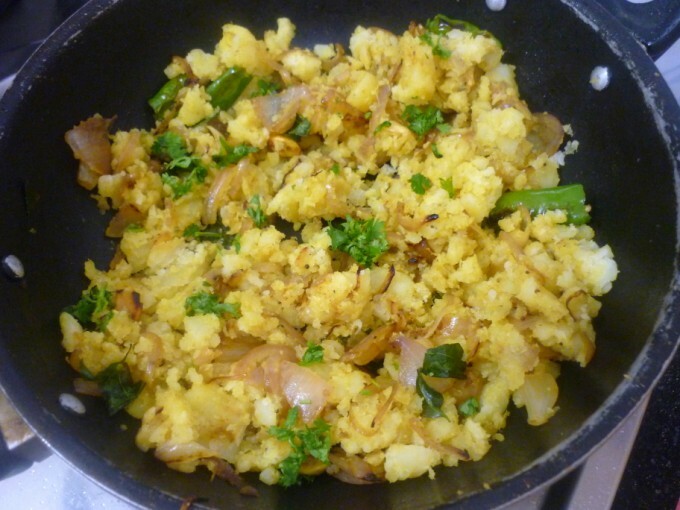 this is different from my regular potato masal dosai…nice recipe…my H too doesn't like spiceless masal 🙂 so i always make with more chillies :)…will make your version soon n let u know!! Can you please tell me what do you mean by boiled rice and raw rice ? Are you referring to idli rice or sona masoori rice ? Nice dosas srivalli..it is really interesting to see that just a small change in the proportions can create yet another delicious dosa. Ekta, I am referring to the parboiled rice which is also referred as Idli Rice. In tamil nadu, even for regular consumption, par boiled rice is used. So if you ask a store keeper one has to specify if the Parboiled rice is for making Idlis or for eating. Sona Masoori is also available as both parboiled and raw rice. 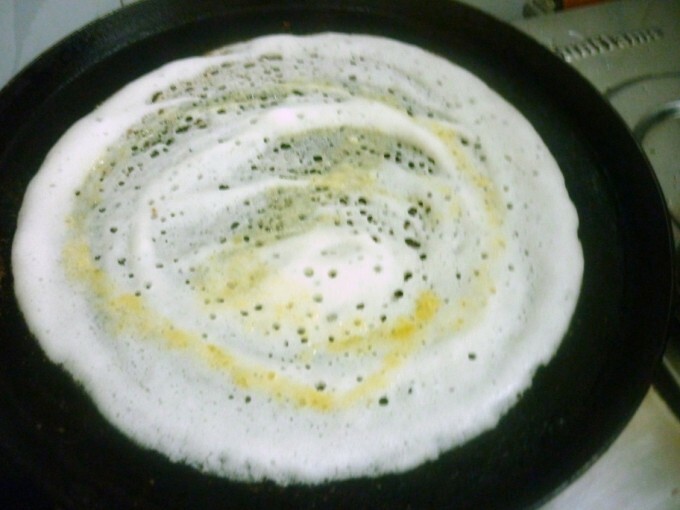 its great dosa and one of my favourite due to benne or butter. I will definitely try this . 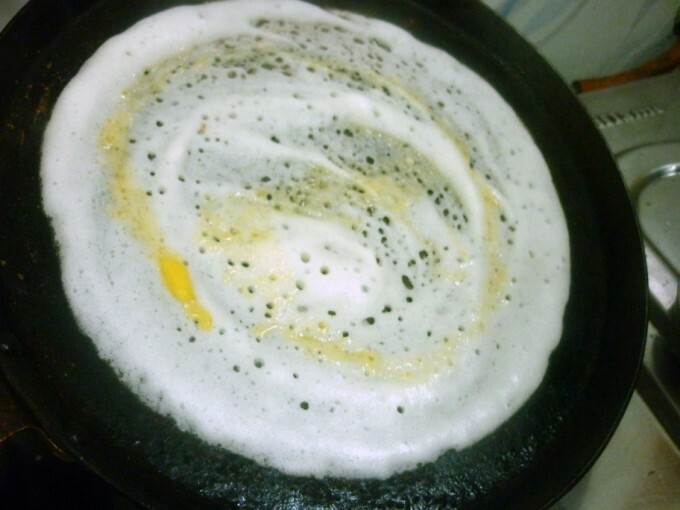 My favorite dosa looks so delicious.. I was looking out for this recipe. Thanks. you're making me hungry…these look so good!! !